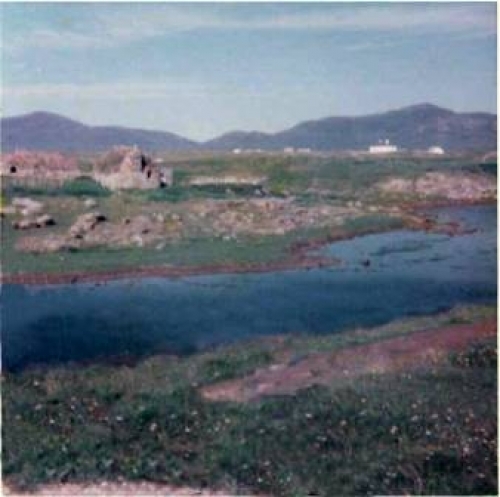 Description: This is the only photo (to my knowledge) that exists of my (Grannies Heilan' Hame) - 455 Strome, North Lochboisdale, South Uist. No longer there sadly. Just in front of Strome Bridge (Left side) over the water. If anyone has another photo, I would love to have a copy and will pay any costs. For the benefit of the locals my Grannie was Maggie-Jane Docherty (M/S Steele)& her brother was Donald Alex.